Cheley is a residential sleepaway summer experience for children ages 9-17 with a special Family Camp for children 6 and up. In response to the frequent request from parents, “We want to go to camp too,” Cheley opened our first family summer camp in 1985. More than two decades later, Cheley Colorado Camps continue to operate this fun and rewarding Colorado specialty camp. Families with children age 6 and older can experience Cheley's 5-day family camp in August after the regular summer season concludes. 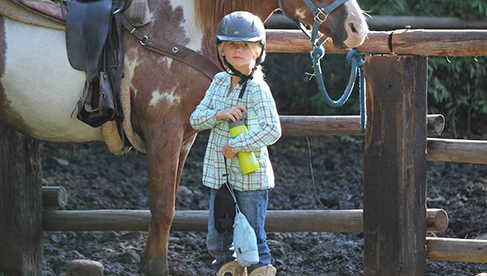 Family summer camp activities include day hikes to lakes, waterfalls, and mountaintops, horseback riding in the ring and on trails, technical climbing, fishing, crafts, target sports and games. Evening campfires are a favorite, with family skits, songs, creative program reports, and hilarious fun. Family Camp is very popular and always fills, so enroll early! The string of 146 horses owned by Cheley Colorado Camps are tended by Cheley wranglers and ridden only during the summer camp horseback riding sessions. The camp has five riding rings situated throughout the camp property. 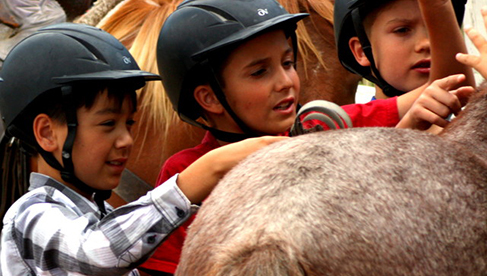 The quality of care and attention we give our riding program makes it an excellent part of camp offerings. 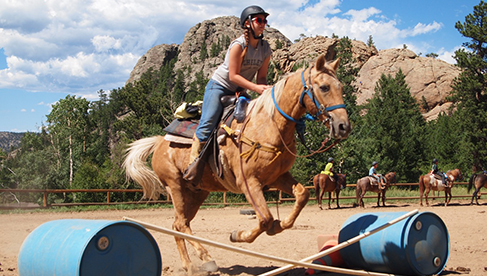 Cheley is not just a Colorado horseback riding summer camp, but it's certainly one of the highlights. 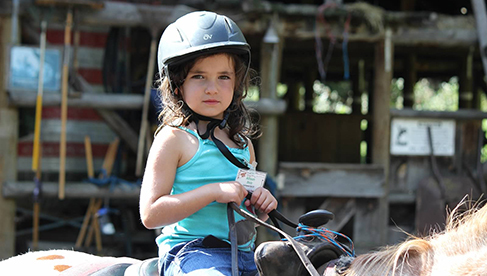 Cheley campers are taught proper western riding form, handling skills and control as well as the essentials of feeding, grooming, tying knots and saddling. You'll learn how to maintain correct leads, walk, trot and canter, and how to sit well in the saddle. 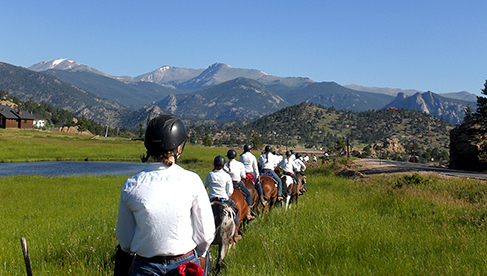 Half-day instructional rides with excellent Colorado horseback riding summer camp counselors. 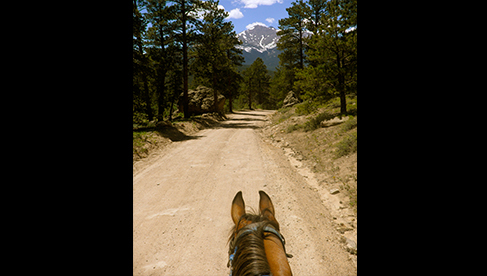 All-day trail rides to Signal Mountain, Gypsy Grounds and Storm Pass. 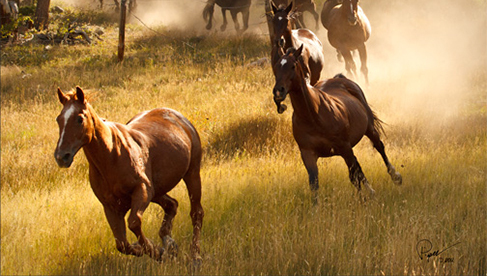 Overnight trips to Outpost Corral and Pierson Meadow for 2-4 days to get hands-on experience in feeding, saddling and caring for horses. 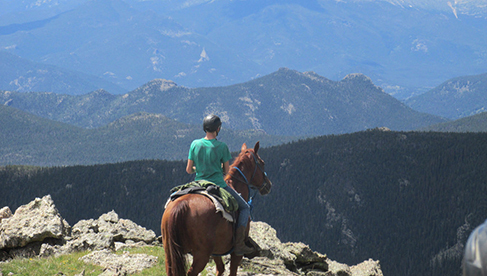 Horsepacking trips to Pennock Pass, West Creek and Miller’s Fork in the high country. An accredited summer camp with top backcountry riding trails and a family camp experience your family just may love! Families with children age 6 and older can experience our 5-day family camp in August after our regular summer season concludes.